How’s your granola gifts? Where’s your fabric conditioner? On Sunday 20 January Mark Ian and Amanda provided the worship lead and music today. Mark introduced a new instrument into our worship band today. We think it was Leo’s guitar but Mark is adamant that it is a ukulele. Esther brought the Word. She opened by saying how great it was to see Mark and the family after a week of sickness. We’ve seen people sharing their gifts today, start with an illustration of today’s Bible passage. Esther pressed Jacob into service to help her with a bowl of Granola. She used this to reminds us we’re all different. She read out the advertising on the box with ingenious blend of exciting flavours as she went through the ingredients. 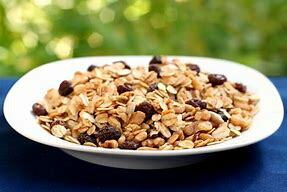 Where are we in the granola picture? We need something special and for us it is the Holy Spirit. Milk is the example she used in the Granola exercise to illustrate the spirit. We’ve all come with different gifts and worries. Esther then read fron 1 Corinthians 1:11. This is Paul , we know him well now. It would serve us welll to remind ourselves of the encounter with God in Acts 9. Paul (as Saul) was persecuting Christians and then he met God and was blind for three days until Ananias was sent to restored his sight. Saul was a changed man ,verse 39 talks about the impact of Paul, we may not have had a Paul moment but the passage in Corinthians reminds us this is the same spirit, the same God moving with us. Paul has a close relationship with thee church in Corinth. He visited them in his mission to Europe. He met people and tried to persuade Jews and Greeks alike to turn to Christ. He’s ministering to people God has placed there, people who were led by God to set up the church in Corinth . Many of the people who heard Paul believed and were baptised. God spoke to Paul , and told him do not be afraid keep speaking and Paul stayed for a year and a half. Paul appeals for them to be united. C 1 v10.There was disunity going on. They were all following someone else. He reminds them where they come from. He shows them a living God! He shares the relationship he has with God. We can have the same relationship with God. We all have the Holy Spirit in us when we proclaim Jesus is Lord. We all have gifts to share . There are different gifts for different people. We pray for unity for this week in our country in our town, in Brexit. We need to pray this week for unity in the nation. We celebrate our diversity, our different gifts and backgrounds. We don’t need to wonder. The focus in verse 7. The gift is given for the common good. What they are for is the common good, as we share our gifts, Ian with the music, Edris with her bible passage, the community with Filling Station. Esther then quotes from Rowan Williams from his book Tokens of trust, which she has borrowed from Tim. He describes a church together in active peacemaking no I without the other. God gives you a gift that only you can give. Esther shared her own recent experience of a missing bottle of Lenor conditioner. She thought her daughter may have taken it by mistake, but when she asked her she said she hadn’t taken it. So they investigated the boot of the car and found a gap in the bottom of the car that led to the empty spare wheel well. Not only did they find the missing bottle of Lenor, they also found lots of other missing shopping items. There were lots of hidden gifts found in the car. It’s easy for our gifts to get hidden. We should all be working to release the gifts of others, how can we help the person sitting next to us. Esther recalled the many surveys that used to go around churches in the past. She made the point that you don’t find your gifts through a survey you find them by serving. 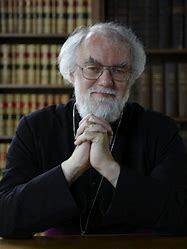 Rowan Williams pointed out that as the needs of others change our gifts may change. Ask God to use us to benefit others. Esther offered up her own experience as an example. She’s done a lot of children’s work in the past but has always said to God “not teenagers!”. God had different plans for Esther’s gifts though and she is now working with teenagers at filling station and attending youth work training. We want these teenagers to fulfil their potential. 9 gifts mentioned in this particular passage. This is just about Jesus and if we have Jesus these gifts are available, prepare for them, share them. Our scripture and songs touch everyone each week. God wants us all to be healers. It is great when we see people demonstrating their gifts and showing people the way to God. Be prepared to share. Was Jesus’s the first miracle at a social function important? He showed who God was. Jesus’s death on the cross and his powerful resurrection is through the same gift of the spirit. Tim Kellor a unique flower in his garden. All the gifts are important and we should not take them for granted or use the m to dominate or exclude. Our launch event will an opportunity to share on Saturday! We hope for us all to be able to share to be stronger, to be bigger. Are you nine miles off? Welcome to 2019. As always, not all our friends and family made it into the New Year. Our thoughts and prayers are with all those adjusting to the new reality and facing that year of firsts without someone, the first Christmas, the first Easter, the first anniversary and the first birthday. Those firsts are tough but get easier to bear over time. We’ve just celebrated the season celebrating a huge first for the Christian church the birth of Jesus Christ. This Sunday was Epiphany and the word was brought to us by Tim. He read from Matthew 2 verses 1 to 12. When King Herod heard this he was disturbed, and all Jerusalem with him. When he had called together all the people’s chief priests and teachers of the law, he asked them where the Messiah was to be born. There is a tendency at this point in January to think Christmas is over and done with, and we’ve probably heard through songs and carols that the 3 kings have already been and gone. But that’s not the case (and they weren’t kings anyway). The Magi’s visit happened well after Christmas and not to the stable but to the house where Mary and Joseph and the baby have returned to after their travels. Tim asked us “How do you find your way about?” Are you a sat nav person or are you old school? Can you use a compass and an ordnance survey map to find your way about. Your sat nav is accurate to about 4 metres, (Mr Google knows exactly where you are! ), your map a little less accurate depending on the scale. The Magi actually used the conventional method of navigating in their time. They used the stars. Isaiah the poet foretold all of this centuries before. In a passage he recited to Jews returning from exile in 580 BC, Jews who were returning to a Jerusalem in ruins he said to look up and hope. He anticipates a Jerusalem that will rise up again from its ruins. This revived Jerusalem will be prosperous and a cause for real celebration. God promised this and God keeps his promises. 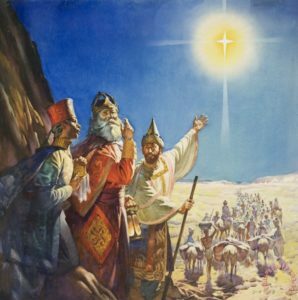 The Magi’s star nav gets them to Jerusalem. They really believe that they will find the new king of peace and prosperity in the city. But their news does not please Herod. Not surprisingly the news that there’s a new king on the block sends Herod into a panic. He consults all his scholars, his own wise men. He wants to know the meaning of the words of Isaiah that the Magi are referring to. The Magi were 9 miles off! Not bad I suppose for star nav. The ancients never forgot the night skies as a source of information. They didn’t have street lights and light pollution to get in the way like we do. There’s been a lot of debate over the centuries as to what the Magi followed. Halley’s comet was too early, but Jupiter and Saturn were in conjunction 3 times in 7 BC so it could be them. Micah anticipates a very different leader in Jesus, a leader who brings well being . Thankfully Herod passes on what his scholars tell him and the Magi now have their destination, Bethlehem. Matthew tells us political dynamite after this. The new king is here and the old will fall, Herod dies shortly after this but his descendants will continue to play a role in the life of Jesus. The appearance of the Magi marks the first recorded instance of strangers from a foreign land worshipping Jesus. This occurrence points the way to Pilate and his soldiers. Pilate like Herod is warned not to harm Jesus. His soldiers will be the first Gentiles since the Magi to call Jesus “King of the Jews” even if they do make the cross his throne and thorns his crown. This story is an overture setting the scene for what it means for Jesus to be King of the Jews and for us in turn to bring him the best gifts we can. What would have happened if Herod’s scholars had not remembered Micah’s words? What directs our steps through 2019? Will we be off by 9 miles? Sometimes God will need to change our direction although he will always guide us. We need to lay aside our egos and our self sufficiency. Thus Epiphany our way forward should be through our vulnerability, generosity and neighbourliness. Are we heading in the right direction? Sometimes God’s people end up resisting and it is strangers that point out the new path. Tim concluded with a poem from Walter Breuggemann. Amanda Jonny and ian led today and Tim brought the word. Zephaniah and John the Baptist have slightly different messages. Tim told us that the 3rd Sunday in advent is joy or happy Sunday. He made us smile remembering remember Tola who used to greet all with that lovely expression “Happy Sunday”. The passage in chapter 3 of Luke is uncomfortable. John didn’t go to preaching class, for effect Tim shouted you broad of vipers and suggested he might change his style int the new year. This doesn’t feel very Christmassy, remember when you were at school and the teacher left the room, chaos ensued! Always one by the door to warn teacher is returning. John is doing the same here! Gods coming and he’s urging is to change our behaviours. Love god and love your neighbour. Mica6 has the same message. What shall we do? Run for cover god’s coming. Repentance means a change of heart, a concern for others around them. If you see someone in need meet that need! In a world where the minority have the world’s majority of resources in our hand we need to act justly, in our workplaces and in our lives. We should make a difference wherever we are in the world. God does not want us to be religious he wants us to reflects our beliefs in our whole lives. It’s difficult as we live bound by sin! The prophets had so many restarts so many fails. God is coming what shall we do. John points to the one who is coming will give you the means to do it. He hurls up the beaten grain to drive away the light chaff and have the wheat remain. It’s s purification process. We are refined and purged through the Holy Spirit. But what will the fire burn up? If only it were all so simple, insidious deeds, line cuts right to the heart. Who can claim to be all wheat and no chaff? Santa is supposed to knows whose been naughty according to the song but what an awful song. Christmas is about Jesus coming as him and dwelling amongst us to carry out one immense act to save us. 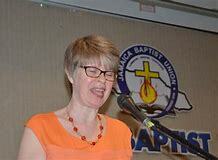 Rejoice says Zephaniah God has come. Each of us needs a personal relationship with god, a change of heart, we carry the scars of failure we struggle to get it right. You can draw on the presence of the Holy Spirit. We need to let god in, to help our shivering hungry neighbour. Advent takes back to the prophets of the old testament who tell the coming of Christ. Let us rejoice and be the people he wants us to be. John the Baptist, the watchmen and women and crazy and weird. 9 December Yvette brought us the word. If someone asked you to name an important world event, would you have chosen the work of John the Baptist? Luke thought this was so important he dated this and provided lots of evidence. It covered the period 28 to 29 AD. The rulers mentioned here did not do a great job. They managed to antagonise the Jewish people. These rulers were supposed to keep the place stable. The Romans needed this place kept stable. John was a wild man separated for god. They have given themselves to god. Like most of the important people in the bible John the Baptist spent time in the wilderness. We may spend time in the Wilderness itself but it never lasts. John asked people to repent and be baptised. Luke makes sure people know that this for all not just a select group. But us important that we turn to God. We can’t earn our way into heaven . Just attending church does not get you in. Keep trusting and obeying. Be the person God wants you to be. John was in the wilderness when he received Gods call. In chapter 30 Luke reinforces the importance of what John was doing. The Pharisees rejected gods plan by refusing to be baptised by them. We have the same power and authority to speak whether we’re speaking to one or 10’000. Some of the people in this church have been called to be watchmen and women. We need to be obedient, don’t right off what might seem a bit crazy or weird. The bible is filled with the most unlikely people . There is a new horizon for god’s people. Being obedient and in the place god wants us to be is important. Whatever god has planned for the coming year may be not what we expect but let’s make sure we don’t miss it. Amanda and Tim led worship on 2 December. Draw what you see not what you know is common advice from art teachers. What do we see and then how does our faith equip us to deal with the world around us. These apopolypitic texts were used to inspire the down trodden minorities. Yet these are quoted by the majority, the placard wavers in cities. Somehow they want us to retreat into a cosy Christian retreat. Martin Luthor King a much better preacher according to Tim, gives a much closer view to Jeremiah . Jeremiah is improsoned yet those things he was imprisoned for are coming true. Jeremiah bought a piece of land, a crazy act when you’re about to be invaded. But the prophet knows things will be restored, the line of kings will be restored, an image of joy and hope. Jeremiah puts out a message of hope. The davidic line was not restored as kings but this came to show the coming of the Lord. The message in Luke resembles Mark 13. In Luke we see things that were written decades after Mark. The times change in the Roman Empire. Tim reflected on our brother Peter’s funeral on Thursday. Peter wanted to be taken up in the clouds rather than the normal way of passing. The longing in the early Christians is for Jesus return. Luke used the image of the fig tree to reflect the growing discipleship. We’re advent people not Christmas people, called to speak hope, to be a prophetic community, to live counter culturally to those around us, there are dark silhouettes of bare trees yet you can see on the trees the next buds are there waiting to spring to life, decay leading to new life. Where do we see that decay in life around us. Do we see the signs? Our instinct tells us to run for cover year Jesus tells us to stand up and be beacons of hope. Respond to what we see in faith and hope. Nelson Mandela, Malala.. there were targets yet became beacons of hope across all nations. How might we be beacons of hope? How might we react to what we see and become something new. Neither prophet or gospel writer wants us watching the clock. The new eta will happen in gods time.